Offering a distinctive and well positioned office in Ventnor’s High Street, 01 is the ideal agent to sell or purchase your home. 01 Estate Agents are at the forefront of innovative ideas. The use of plasma TVs enable us to walk you through and view our properties in the comfort of our office. 01’s aim is to offer a personal and individual service to our clients. All potential clients of 01 can rest assured of a high level of personal service from our very enthusiastic staff. 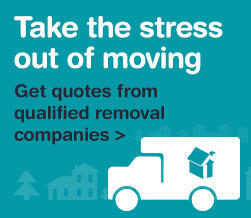 At Pittis we want your move to be as easy, straightforward, and stress-free as possible. We also strive to get you more buyers – and this is why your property details will be passed between 100+ branches across Kent, Sussex, Hampshire, Surrey, London, Essex and even the Isle of Wight! We also know the value of presentation – that’s why we use professional photographers to capture your home at its best every time. With 5 residential branches Island-wide covering the whole Island, we also have the ability to reach out across the UK. Our focus is always on customer service and satisfaction creating an enviable reputation for selling homes of all types.